Last week we dipped below freezing for probably the last time this winter. so this weekend we spent Saturday working in the garden and flower beds. Just so you know, I’m not much of an ornamental gardener. We’ve moved many times and my focus is always on growing food first. But now that we are going into our fourth year of living on this property, I feel like I can really start working on our flower beds. It’s really important to me that we use waterwise plants in our landscape design. 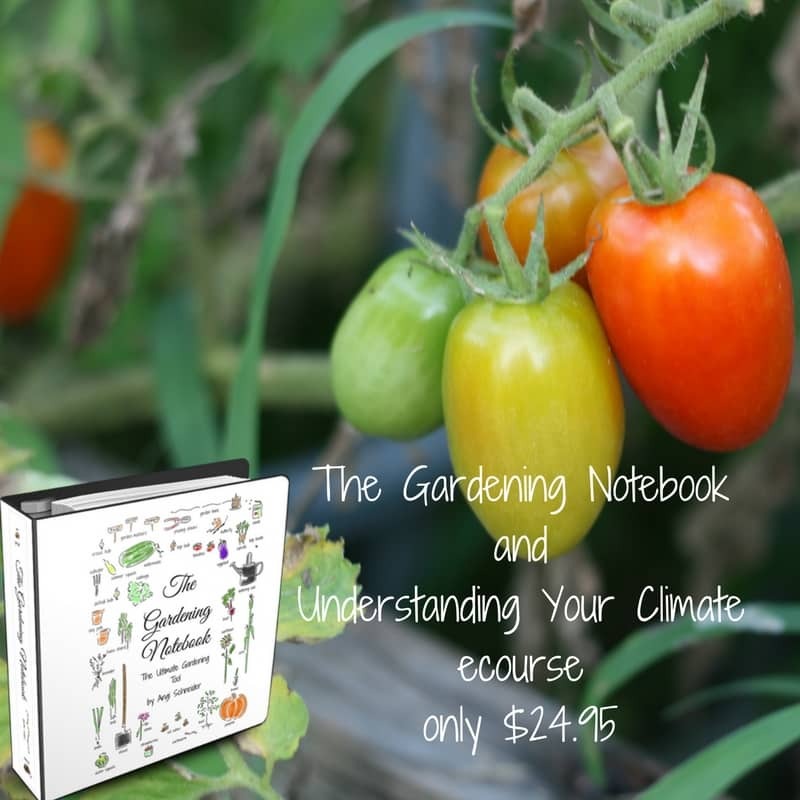 It gets very hot during the summer and watering the vegetable garden and fruit trees is all I really have time for. So, I was really excited when Monrovia asked if I would like to try some of their waterwise plants and share them with you. It was just the push I needed to tackle a new flower bed around one of our pine trees. I’ve bought Monrovia plants many times from my local Lowe’s and have always been pleased with them, so the next time I was in town, I made sure to stop by and get a few plants. It’s still a little early here for a huge selection of plants, but I picked some blue salvia (sage) and some yellow coreopsis. Both plants are heat tolerant and require little water once they’re established. They are also both cold hardy to Zone 5 which means I won’t have to cover them when we get a freeze. I thinned out some plants from another flowerbed and planted them in this bed also. It should look really nice once they fill in. Start with a plan. Decide where you want to put plants first, then figure out what plants will do well in that area. Don’t go plant shopping first and then try to find a place to plant them – it rarely works out well. Take into consideration the sun, shade and wind in that area. Is it an area that will be hard to water, if so, you might consider waterwise plants for it. Chose plants carefully. It’s best to use plants that are native or adapted to your area in your landscape design if you want a low fuss garden. To help you get started on your waterwise garden, here are some plants that are drought tolerant- yarrow, golden marguerite, butterfly weed, basket-of-gold, false indigo, catmint, threadleaf coreopsis, purple coneflower, globe thistle, cusion spurge, baby’s breath, sunflower, daylilies, lavender, gayfeather, sea lavender, mallow (zebra malva), russian sage, ornage conflower, lavender cotton, stonecrop, lamb’s ears, goldenrod, thyme, stonecrop, yucca, lantana, bulbine, calylophus, daisy, damianita, salvia and Mexican heather. Unless it’s wildflowers, I don’t plant annuals. I need my flowerbeds to be as no fuss as possible, so I mostly plant perennials. This not only saves time but it also saves money. 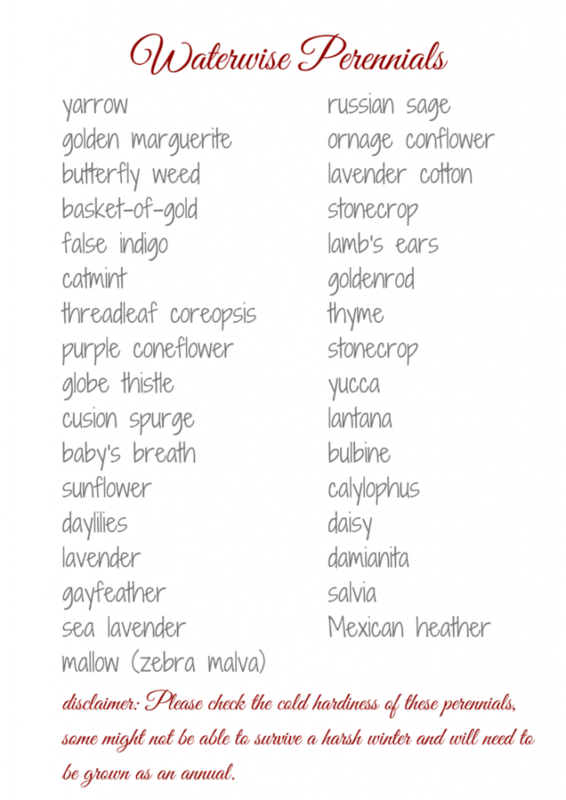 Here is a printable list of waterwise perennials for your gardening notebook. 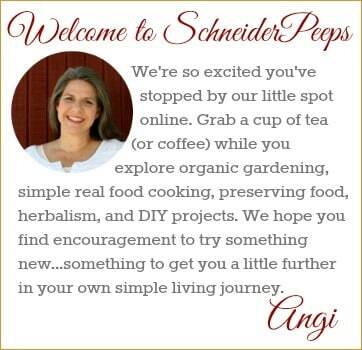 Add organic matter to your garden. If you want a great garden, you need great soil. Building your soil is easy but it takes time. You can either make compost or buy compost to work into your soil. One way to see if you have good soil is to look for earth worms in it. If you have earth worms your soil is pretty healthy, if not you need to work on it. If you add some compost each year, you won’t need to use commercial fertilizers on your plants which will save you time and money. Water wisely. Soaker hoses and drip irrigation are a great way to get water to the plants without it evaporating. This also allows for deep watering, instead of shallow watering. When you water deeply it encourages the roots grow down deep into the soil; this will make for a much healthier plant. We use soaker hoses in the beds around our house, which is also helpful for our foundation. But for our other flower beds, we use “reclaimed” water. We use dish pans in our kitchen sink to wash dishes and use that water for the plants. I also keep a 5 gallon bucket in the bathtub and use that to catch the water that normally runs down the drain while we wait for the hot water to kick in. Since we’re using low water plants this works just fine. And it keeps some grey water out of our septic system. Collected rainwater also makes a great watering option. Mulch, mulch, mulch. Mulching your garden will not only keep the moisture from evaporating, it will also help cut down on weeds that like to use the water. You can purchase mulch in bags or you can use things like leaves, pine needles, shredded newspaper, wood chips, straw or rotted hay. Mulch is just laid on top of the soil, it’s not worked into the soil like compost is. 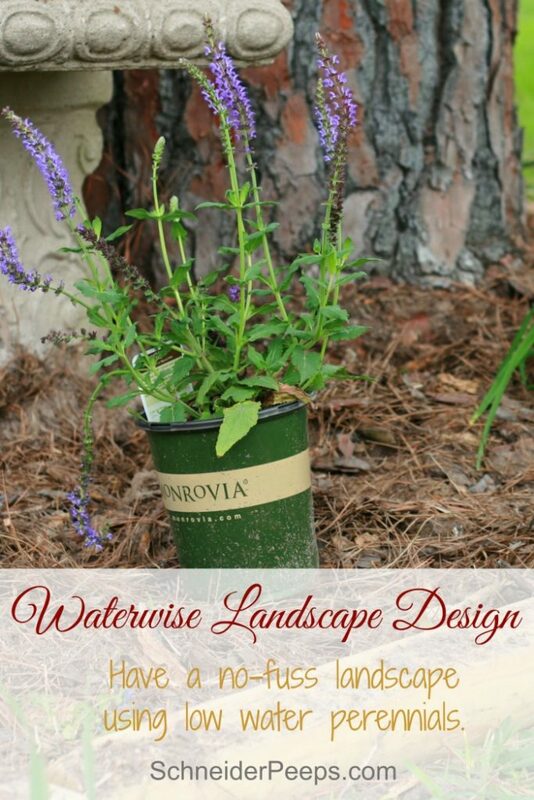 What are your favorite waterwise plants? Thanks so much to Monrovia for sponsoring this post. This post is shared at Tuesday Garden Party. 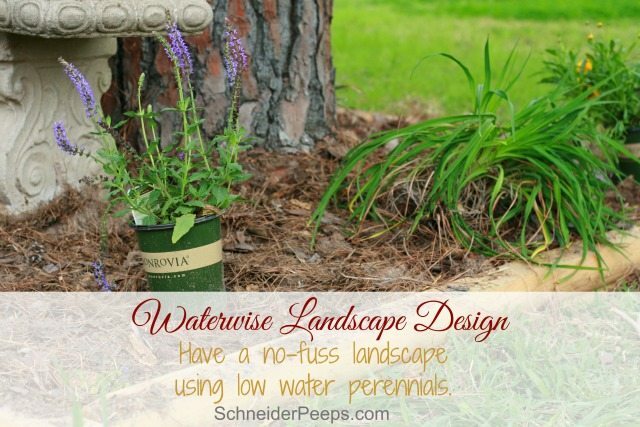 Thanks for the helpful “waterwise perennials” list! This will be so helpful for me to check as I plan our flowerbeds soon. I’ve been a fan of perennials for a long time and cherish cuttings and giftings from my parent’s beds over the years. Now that we are in a “Sabbath Year” for our garden, I have time to devote to actually establishing some order in the beds. Our main focus has been in agreement with yours. Gardening. It will be fun to see what the flowerbeds will look like after receiving some much needed attention. Your blog is a blessing to me. For your Sabbath Year do you not grow any vegetables or do you use a different area? I’ve heard of people dividing their garden into sevenths and letting one section rest each year. We’ve never lived anywhere long enough to have a Sabbath Year. 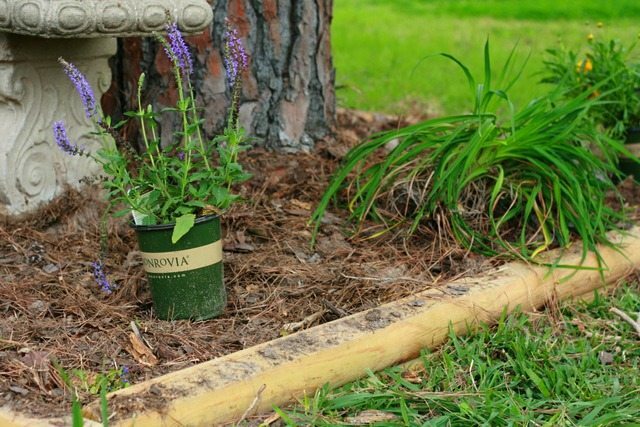 I bet your flowerbeds will be great this year! We are actually taking a rest from gardening from last fall until this fall. One of our children has some tubs with a few plants, but it is a research project, not a full blown garden. I totally get it. We’ve found ourselves with just too much at times and sometimes it is hard to give away. 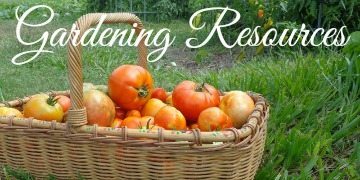 Since we keep our garden going year round I’ve found that I don’t need to preserve a large quantity of vegetables (other than tomatoes). We just eat what we happen to be growing. It gets boring but it’s easier for me. I’m excited for all the things you’ll learn during this year of rest. Yep, mulching is so very important. That’s interesting about your plants. I’ve bought Monrovia even off the clearance rack and they’ve done well. I should add- it’s their perennials that die. They’re not as tough and don’t winter over, even when treated (heavy mulch) the same as the cheap ones. I love water-wise planting – especially since I moved to Utah, a highland desert. We have a neighbor who xeriscaped her entire front yard and it is a wonder to watch every year. That’s weird what Nancy said about Monrovia’s plants dying on her. 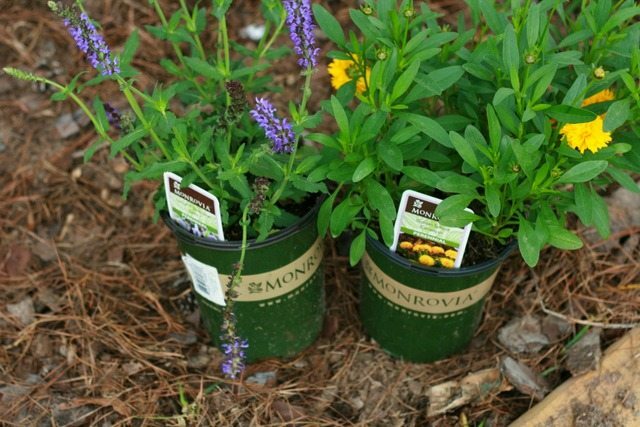 I don’t often buy commercial plants (I’m pretty cheap and grow most myself), but when I do, I’ve always had good success with Monrovia. A lot can be traced back to nursery care pre-purchase. We had a Monrovia rep come to one of our master gardener classes and he talked a lot about the research they do into developing their drought tolerant plants, since resource conservation is such an issue everywhere. And, totally not water-wise, but they have some gorgeous petunia colors!! oh, I love petunias. I have some Mexican petunias that are totally taking over. A friend warned me they would (they propagate through the roots) but I didn’t listen. I am loving all your gardening in the desert/heat tips, they are so helpful! It is always frustrating to read a great gardening book only to find out the focus is a different zone. Now, I just need to be more diligent about my container pots and planting there. Thanks Charissa. It is frustrating but when you really start understanding your climate you learn to glean the information that is beneficial to you and ignore the rest. One of my favorite gardening books is The All You Can Eat Gardening Handbook and it’s author is in Canada (http://amzn.to/1MBjDWp) but here is so much good stuff in it. We usually have more rain than we would like, but I’m afraid this year because our snow pack is really low (from a warm winter). We might have drought conditions this summer. I hope not, but it sure is a possibility. Thanks for linking up to the Tuesday Garden Party. Great article! We use only natives and “Florida-friendly” plants in our yard which require no fertilization and no supplemental watering. It really is the way to go. I hope you’ll come share this post on Tuesday’s Maple Hill Hop! Pinning!